Starbucks has recent come out with a new Frappuccino in the beginning of the Autumn season, Horchata Frappuccino but without the artificial flavors, preservatives, not as much sugar and is DAIRY-FREE. 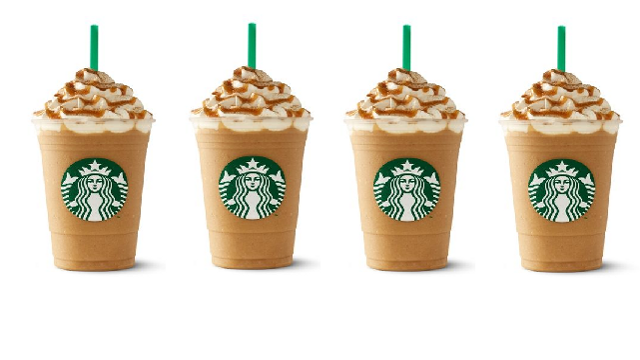 In the Frappuccino, it has cinnamon dolce syrup, coffee Frappuccino syrup, vanilla syrup, coffee and topped with caramel, whipped cream and caramel making it equal to 66 grams a sugar in their Grande Size (16oz), if you cut out the whipped cream it only lowers it to 59 grams of sugar. That's a lot of sugar. What I believe that make its is Horchata is the almondmilk. Horchata is a traditional Latin drink that is made with Chufa, I've seen Tiger Nut as well, mixed with sugar and cinnamon. It is also made with soaked rice or almonds. But going into my research even more they've had a drink like Horchata since Ancient Egypt. In a medium sauce pot, combine dark brown sugar, water, cinnamon sticks, and pinch of salt. Bring to a boil and add vanilla. Let it boil for 10 to 15 minutes or until its a thick syrup. Let it cool. In a blender or food processor, combine ice cubes, almondmilk, cinnamon syrup and coffee. Blend well. Transfer to your glass of choice. Top with whipped cream, cinnamon sugar and dulce de leche. Enjoy! I had no idea about this new frappuccino, it looks so good!! OMG this looks delightful! Horchata and frappucino are naturally sugar bombs, put them together and *pow* ultra sugar bomb. Wow. This looks absolutely incredible. I love your photos too. yum. I had never heard of this frappucino, but I love the idea of a homemade version that's a little easier on the sugar! I just shared this recipe with a friend. She is crazy about making milkshakes and drinks. I love that almond milk idea because it is more healthy and nourishing. This looks really good. 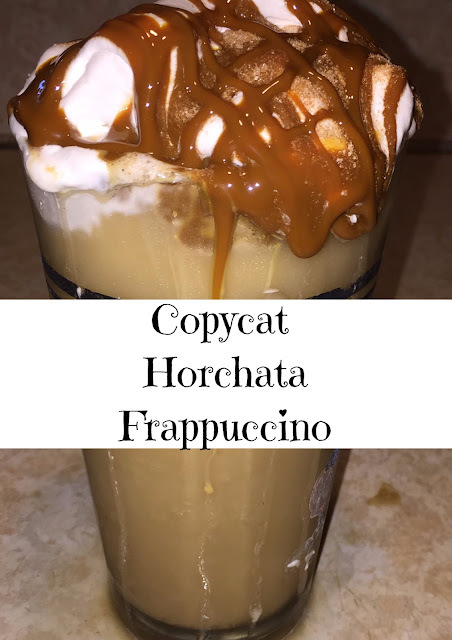 I love trying Starbucks recipes at home, and will definitely give this one a try! Wow, i saw this on the menu the other day but i wasn't sure what was in it. I assumed a lot of sugar, so I think I'm good on that one. Good to know what's in it though. Yum! This sounds and looks delicious. Saving to make in the near future!